Here is another watercolor painting. Pansies are such beautiful flowers and you have fun the whole year with them. They are available in so many different colours and in small and larger sizes. 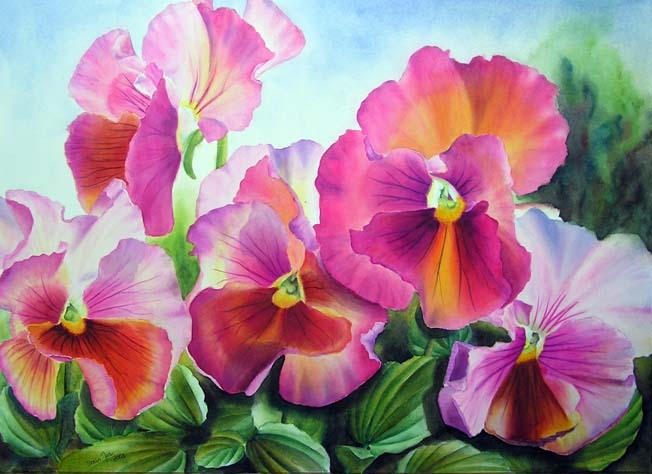 To create a pansy-painting is always a pleasure.